The Augusta National Women's Amateur (ANWA) is a new major tournament in the world of women's amateur golf. The tournament, which was first announced in 2018, will take place in April 2019 and will be staged by Augusta National Golf Club. The tournament will boast most of the top-ranked amateur women in the World Amateur Golf Rankings. The first two rounds will be played at Champions Retreat Golf Club in Augusta, and the final round will be played Augusta National. Description: 54-hole golf tournament for the highest-ranked amateur women golfers from around the world. Key Players: Jennifer Kupcho (No. 1 in world amateur rankings), Jiwon Jeon (No. 4), Andrea Lee (No. 5), Atthaya Thitikul (No. 7), Lucy Li (No. 8). Fun Fact: The ANWA is the first women's tournament played at Augusta National, which only started admitting female members in 2012. That the tournament is being staged by Augusta National—one of the most famous and exclusive golf clubs in the world—is what makes the ANWA such a significant event. For more evidence of Augusta National's lure, consider this: amateur women's golf tournaments, even the U.S. Women's Amateur, have rarely received network television coverage. But the ANWA immediately reached a deal with NBC for network broadcast of the final round at Augusta National. The tournament will take a place as a lead-in to The Masters, which is played in early April every year. 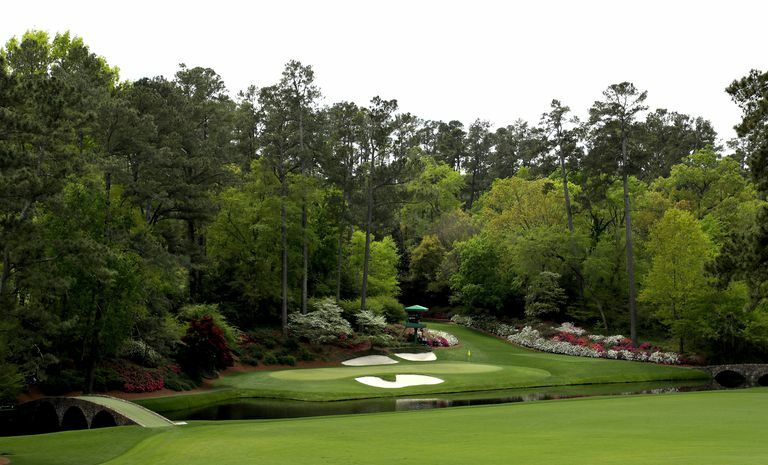 The Augusta National Women's Amateur Championship will conclude on a Saturday, the finals of the Drive, Chip and Putt tournament for juniors takes place on a Sunday, and then Masters Tournament week begins on a Monday. The Augusta National Women's Amateur Championship features something extremely unusual in golf tournaments at any level: a planned day off in the middle of the tournament. Since the first two rounds are played at one course and the final round at a different course, there is a one-day gap between the second and third rounds. This gives golfers a chance to practice on the right course before the final round. The format is 54 holes of stroke play, beginning with a field of 72 golfers. The field is cut to 30 following the completion of 36 holes. A playoff, if necessary, will use a sudden-death format. The cost of admission to most amateur women's tournament is zero. Even at the highest level, spectators get in free at most events. However, this tournament is different because it takes place Augusta National Golf Club. Many golf fans are desperate to get first-hand looks at the golf course, and tickets to The Masters can sell for thousands of dollars through ticket brokers. In early February 2019, a check of ticket brokers revealed passes going for prices in the $400-$500 range for the ANWA. Face value of the final-round tickets is $75. Tickets for the first two rounds (played at Champions Retreat Golf Club) are free, but still require applications through the ticket lottery. Augusta National Golf Club decides which amateur women golfers get into the field for the ANWA. As with The Masters, the club establishes a list of criteria and invites the golfers who meet that criteria. So long as they remain amateurs, the reigning champions of the U.S. Women’s Amateur, Ladies’ British Amateur, Women’s Amateur Asia-Pacific, U.S. Girls’ Junior, Girls’ British Amateur and Girls Junior PGA Championship tournaments all receive invitations. Going forward, the past five winners of the ANWA will, so long as they are still amateurs, be invited back. The 30 highest-ranked American golfers from the year-end World Amateur Golf Rankings are invited. 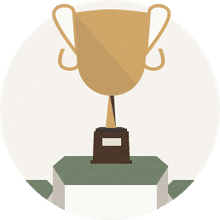 (For example, for the 2019 tournament, the year-end 2018 ranking is used.) Then, the 30 highest-ranked international golfers in the WAGR are added to the field. If any spots in the 72-golfer field remain open, the selections are made by the Augusta National Women’s Amateur Championship Committee. The champion of the Augusta National Women's Amateur gets a trophy and some very nice exemptions into other high-level tournaments. Provided she remains an amateur, the winner receives invitations to the next five ANWA tournaments, plus the current year U.S. Women's Open and Women's British Open. Additionally, the ANWA champ, for the next year, receives automatic entry (no qualifying necessary) to any USGA, R&A and PGA of America amateur championship for which she is eligible. How Much Does It Cost to Join Augusta National—and Who Are Members?